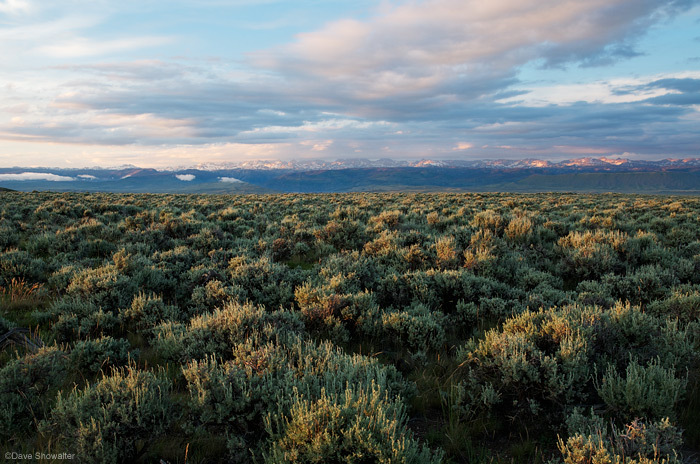 Sagebrush and the Wind River Range on Pinedale Mesa. This are is very close to heavy drilling and the ker-chunk, ker-chunk sound of drilling nver stops. Photo © copyright by Dave Showalter.